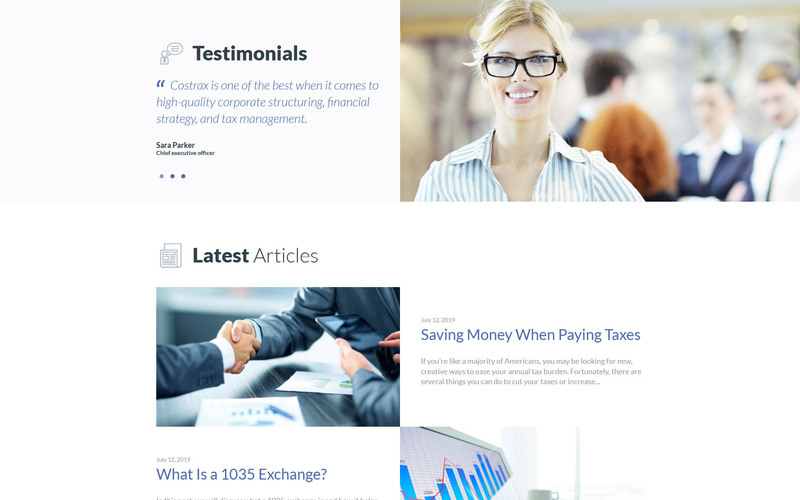 Multiple creative page layouts with a collection of neat non-flash graphics are all you need to create a stylish accounting services website. And you can simplify the beginning of your financial services delivery by installing a template in two clicks. You can also integrate the online payment systems into the site. 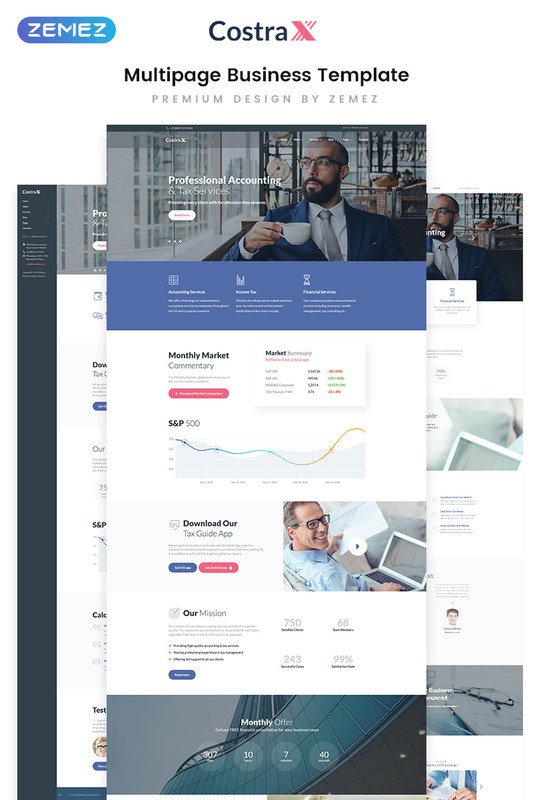 In the template, there's also a variety of add-ons that allow adding various components and sections: social networking functionality, infographic elements, sliders, blog entries, and so on. 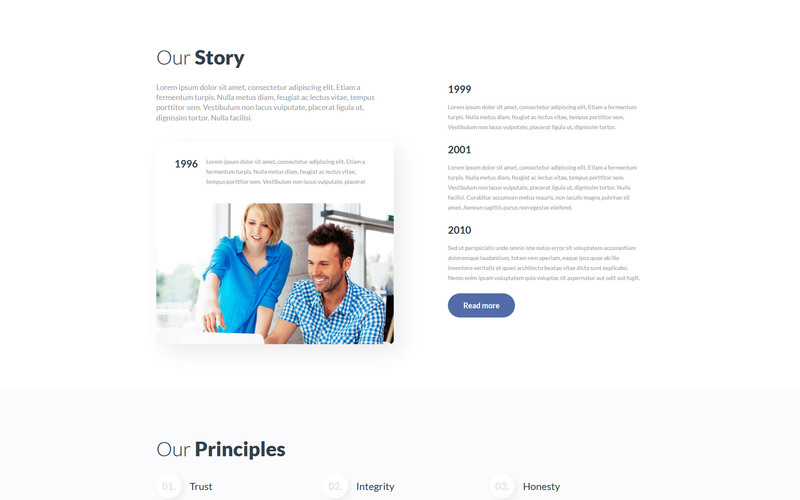 The template uses a smooth scrolling and has a contact form. Google fonts and awesome sets of icons will allow you not to limit yourself when setting up. 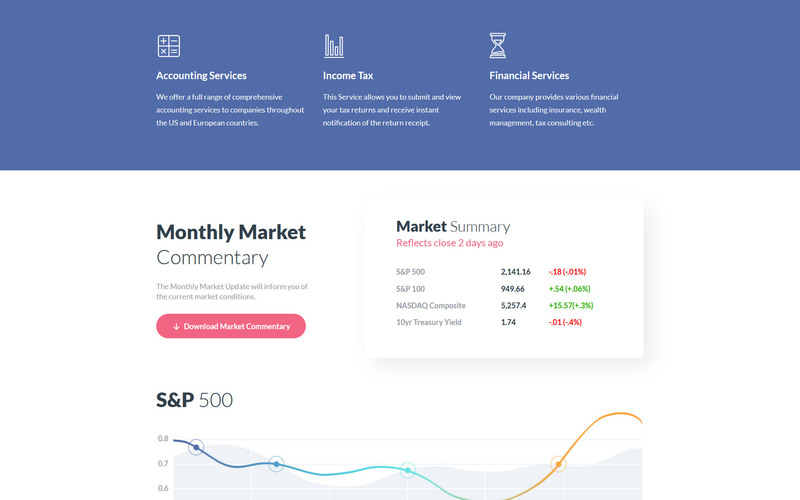 This template will be a real deal if you are looking for a stylish solution for a multipage financial non-CMS website. 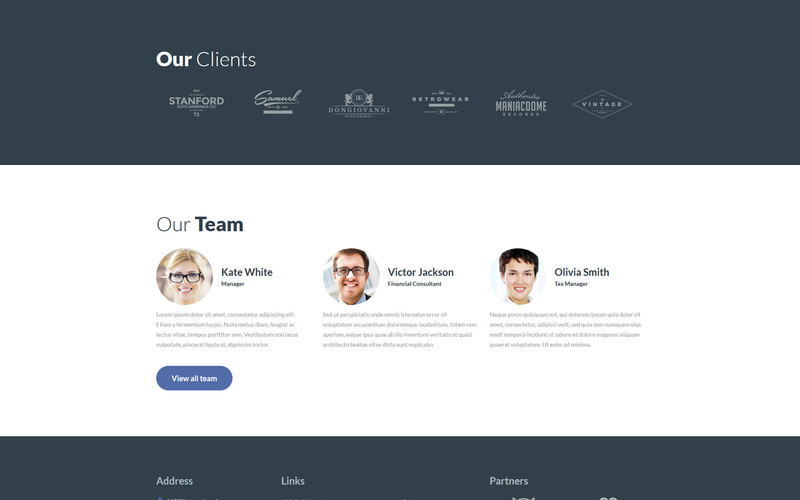 The template is well suited for business & services websites. 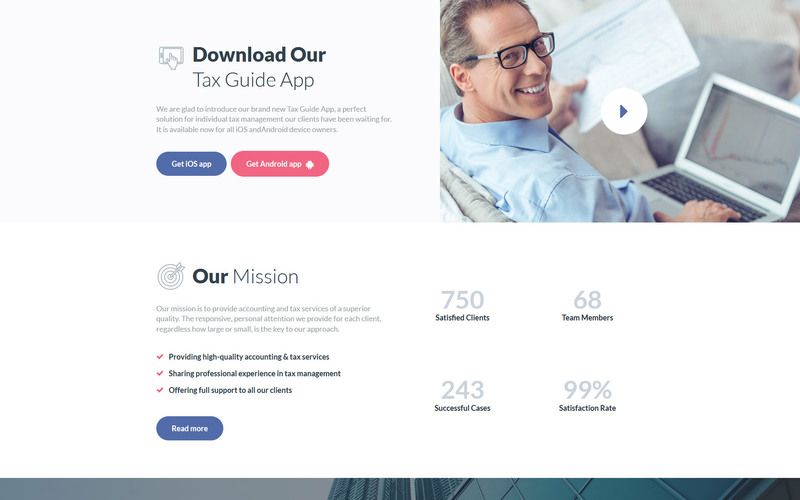 This Multipage HTML5 Template will help you to create a perfect accounting services website.